Alan Carreno continued his quest for 50 half marathons in 50 states by competing at the Little Rock Half Marathon. Alan would place 4th overall en route to a 1:14:14 finishing time that would make it his second fastest half marathon. 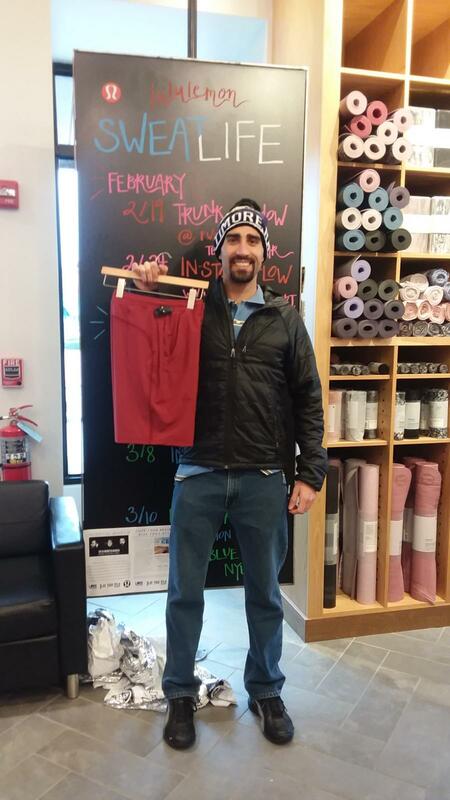 Alan's time would help him capture the 25-29 age group and also earn him extra swag from our lululemon sponsor. 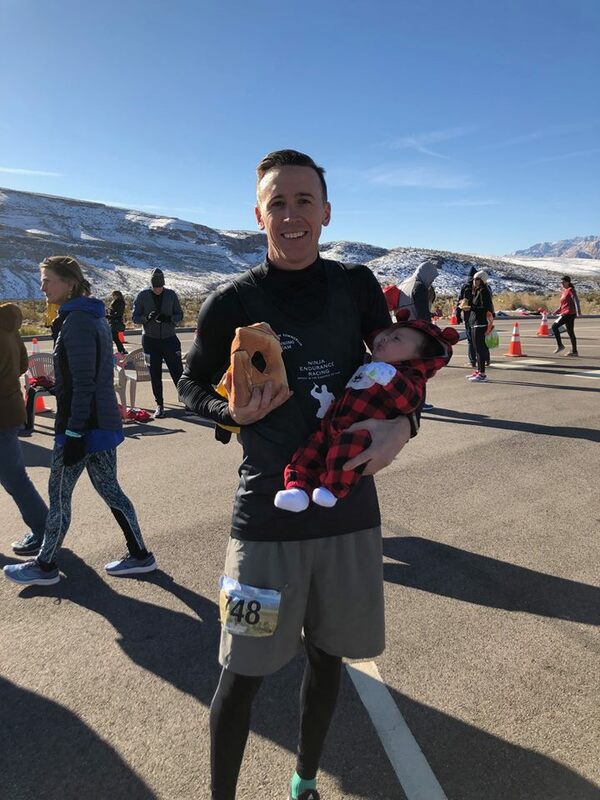 Jon Russell made his official team debut at the Red Rock Canyon Half Marathon this morning taking FIRST OVERALL in 1:21:31. Jon would defend his title from 2018 en route to finishing 8 minutes ahead of the runner up. Congratulations on the successful title defense and WAY TO REPRESENT! Results for this event can be seen here. As the 2019 season has fully kicked off we are also excited to announce some NEW faces that will be representing our clan chasing after medals, goals, and PRs. We would like to welcome Sierra Rosee to our women's race team. 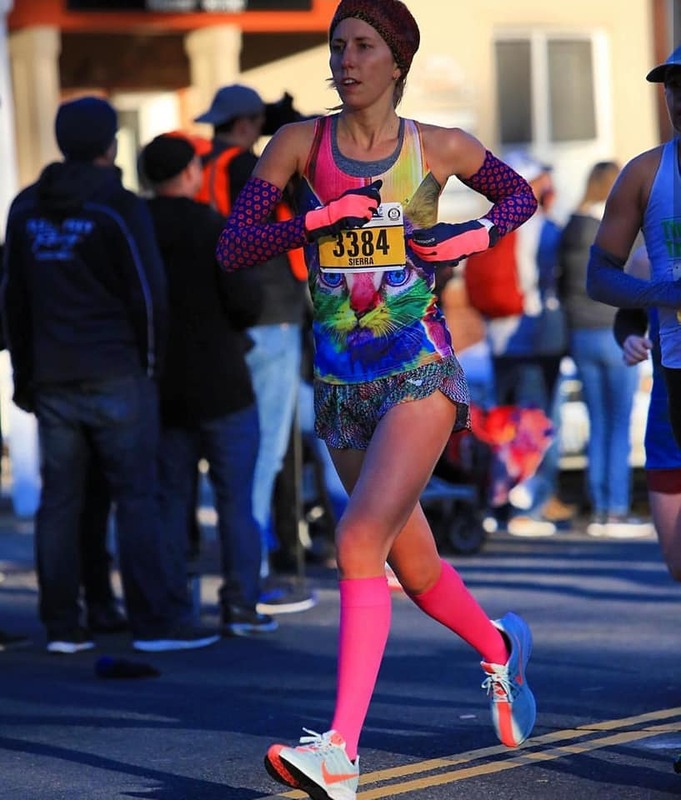 Sierra takes on roads and trails and has been on a tear blazing up 3 PRs in the 10 mile, half marathon, and marathon distance. We know this fierce kitty lover will represent us proudly and do even bigger things this season! On the men's side we would like to announce another new roster addition. We would like to welcome Jon Russell to our men's roster. 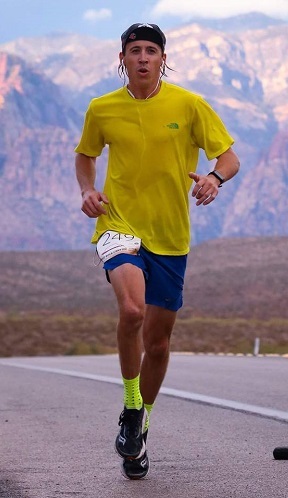 Jon is current the Summerlin Half Marathon & Red Rock Half Marathon defending champion. We know this fast running, road blazing, Strava crown earning, newly turned dad will represent us well. Over Thanksgiving weekend of 2018, 21-year-old Tanner Huesch was out with friends on a Friday and was shot in the back. He had surgery to repair a punctured lung but unfortunately, his spine was damaged enough to cause paralysis below the waist. Tanner was sent to Craig Hospital in Colorado for surgery and rehab and is now home. The costs to Tanner and his family will be immense and the goal of this event is to raise badly needed funds to cover his continuing treatment and progress. 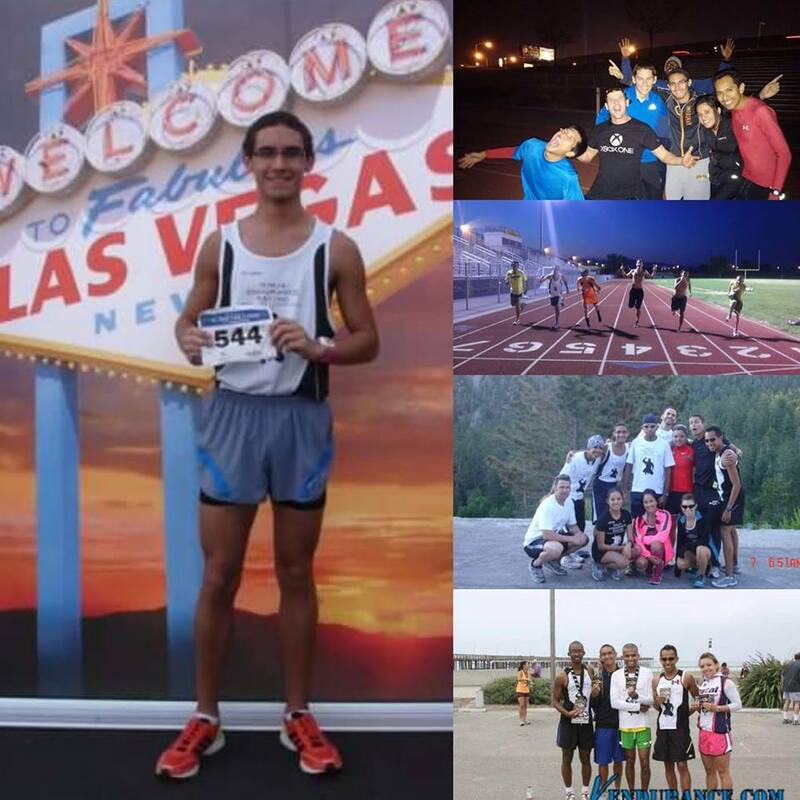 Alan Carreno would runaway from the competition at the inaugural Vegas Golden Night-Day 10k hosted by Calico Racing. Alan would win the race by more than six minutes crossing the line in 34:01, improving his 10K PR by 18 seconds. 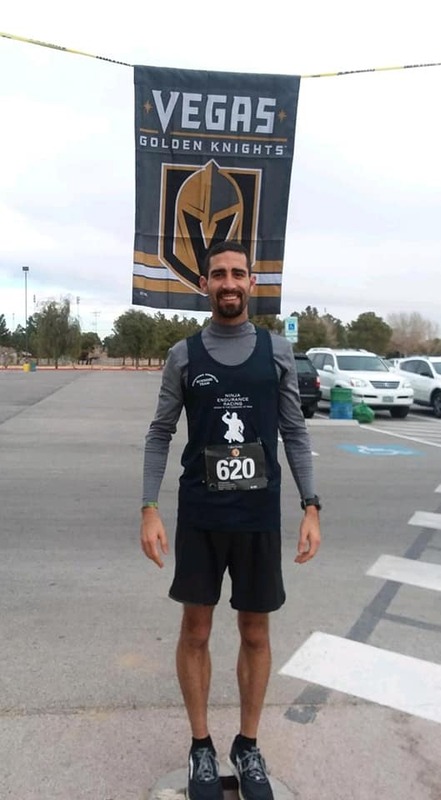 Over in the land of the valley of the Sun, Alejandro Belmares placed 34th overall in the Mesa Half Marathon posting a 5 second PR in 1:15:26. This picture does little justice to capture the kind of person you were. Three years ago we lost a teammate, runner, training partner, but above all else a friend. Keep on running in Paradise Johnny. Our sponsor is doing a challenge! Lululemon has a 2 week Strava challenge from January 2nd and ending January 15th. Do it! The prizes are worth it! Tell your running buddies too! All runners are eligible. 1. Run 25 miles in the 2 weeks and win a good prize. 2. Run 50 miles in the two weeks and win a great prize. So get on Strava, join the challenge, head outside, kick asphalt and log those miles to pick up your goodies at the Lululemon in Downtown Summerlin OR Fashion Show Mall OR Ceaser's Palace, OR Green Valley Pop Up, OR Miracle Mile. 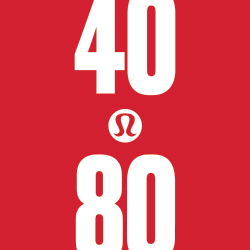 To our friends from afar visit your local Lululemon store to get your prize. PLEASE NOTE THAT MANUAL ENTRIES WILL NOT COUNT FOR TOWARDS THE CHALLENGE! To learn more about how to use Strava, please visit the Strava Support Center or email support@strava.com. All other inquiries can be addressed by contacting lululemon's regional support centers. For the first time in almost four years NER would field a complete roster for a race event. 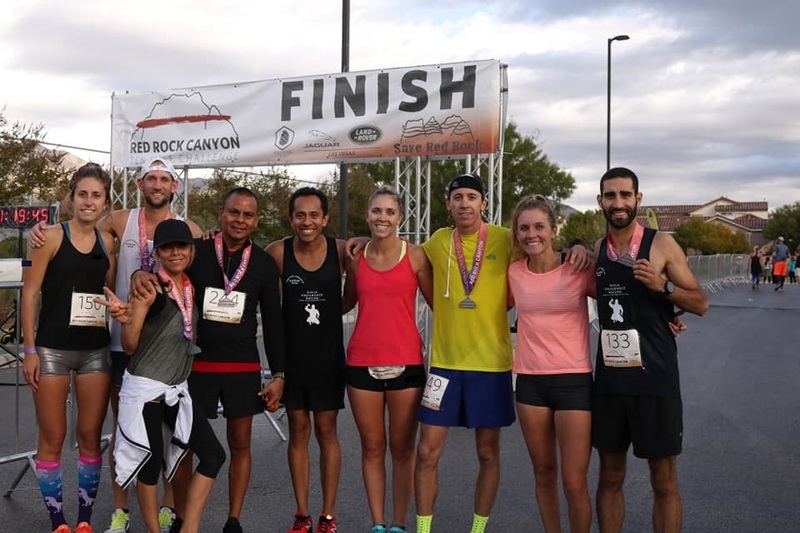 Led by Alan Carreno, NER would land six runners in the top 15, with five being among the first ten finishers at the inagrual Red Rock Canyon 10 mile race held by Bristlecone Events. Alan would place second overall in 55:48, followed by run club member Jon Russell's 4th place finish in 57:55. Alejandro Belmares would land in 5th place overall and take second in the 30-39 age group (with Jon Russell taking 1st), in a time of 58:15. Brent Shirley would make his official team debut at the event earning 10th overall in 1:01:20 (4th in the 30-39 age group). Run Club members/sisters Bree Thorpe and Mercy Sells would place 2nd overall in the women's division (9th in the general standings), and 4th in womens (13th in general standings). Bree would run 1:00:49, followed by Mercy's 1:06:17. Spouses/Run Club members Ericka Rios would place 19th overall (8th female) in 1:11:38 earning a second place finish in the 40-49 age group, followed by Pedro Rios Sr in 1:12:14 in 20th overall (2nd 40-49 age group). 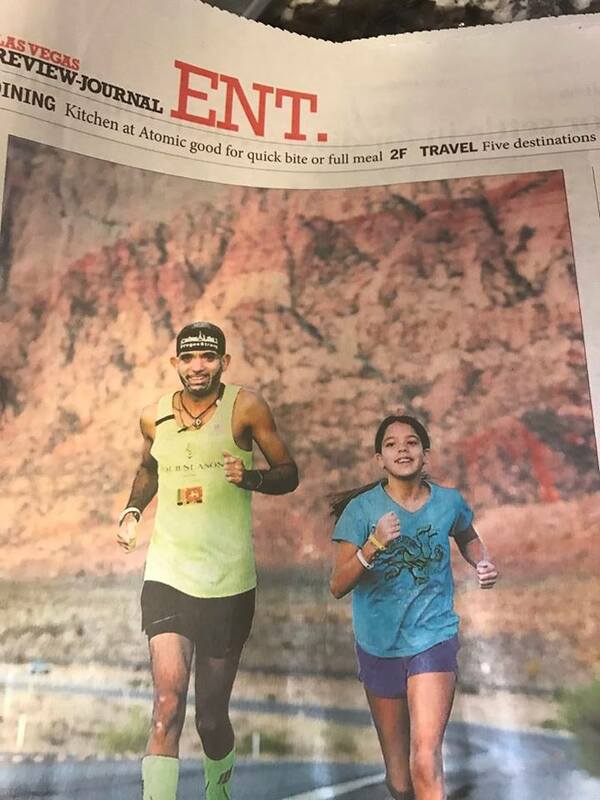 From running all Six Marathon Majors to now making local headlines, NER member Gamini Sugathadasa's featured article in the local newspaper covers his historical accomplishment by competing in all six Abbot World Marathon Majors.